Earlier this month HMNZS Otago conducted a cooperative deployment with U.S. Navy's USS Shoup in the south west Pacific Ocean. Our ships and personnel are trained and ready to operate alongside partners and allies throughout the region. Together as one. 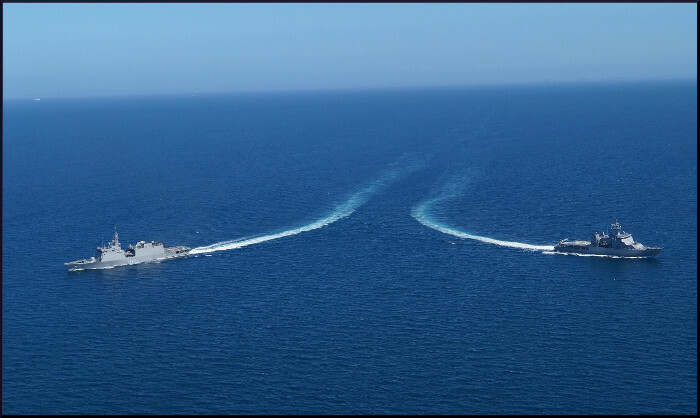 HMNZS Otago and Royal Australian Navy HMAS Woollongong work together during a passage exercise off the East Coast of Australia recently. 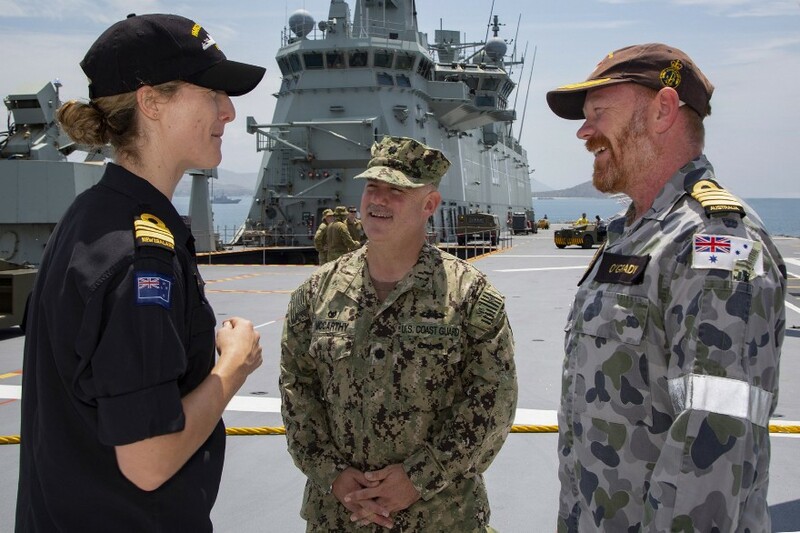 HMNZS Otago and its 75 crew members are working with Papua New Guinea troops & police as well as military personnel from Australia & the United States as part of the Joint Security Task Force to protect world leaders attending the APEC summit. New Zealand Defence Force (NZDF) personnel have arrived in Papua New Guinea to form part of a multinational force protecting world leaders attending the APEC summit this weekend. Sue Douglas, the New Zealand Senior National Officer, said NZDF personnel were working alongside Papua New Guinea troops and police as well as military personnel from Australia and the United States as part of the Joint Security Task Force. “At the request of the Papua New Guinea government, New Zealand, in coordination with Australia, is providing security support for the successful hosting of APEC 2018,” Ms Douglas said. 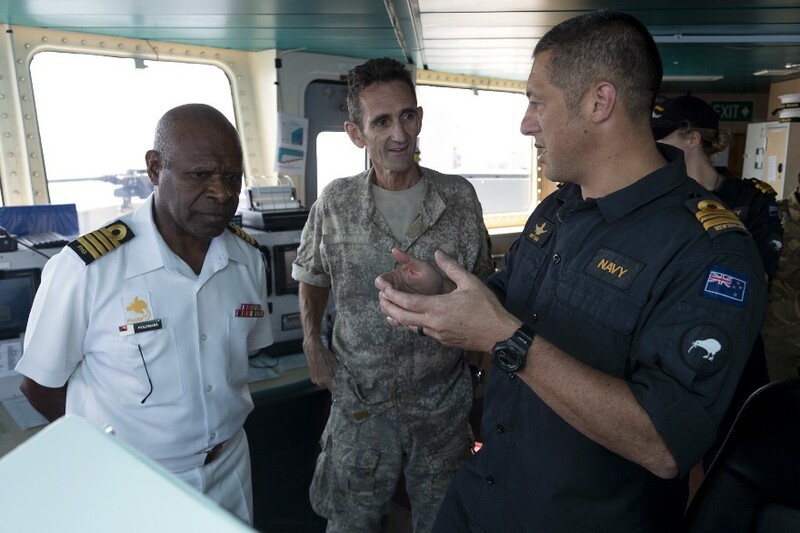 The Royal New Zealand Navy’s offshore patrol vessel HMNZS Otago and its 75 crew members are working alongside the Papua New Guinea Defence Force, Royal Papua New Guinea Constabulary, Royal Australian Navy and the United States Coast Guard to provide maritime security. A Royal New Zealand Air Force P-3K2 Orion aircraft, backed by a 20-member detachment, will be providing aerial surveillance, while up to 30 Special Operation Forces soldiers are supporting the security effort. About 15,000 delegates are expected at the summit of the Asia-Pacific Economic Cooperation (APEC), which is recognised as the highest level multilateral bloc in the Asia-Pacific region. APEC was established in 1989 to promote free trade throughout the Asia-Pacific region and comprises 21 Pacific Rim member-economies. Work, work, work. 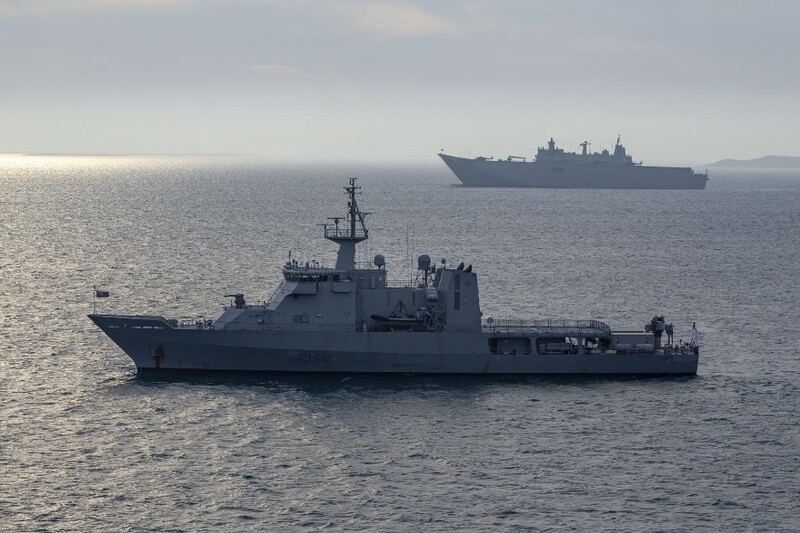 HMNZS Wellington has been busy conducting their Work Up to demonstrate they are ‘worked up’ and mission ready. 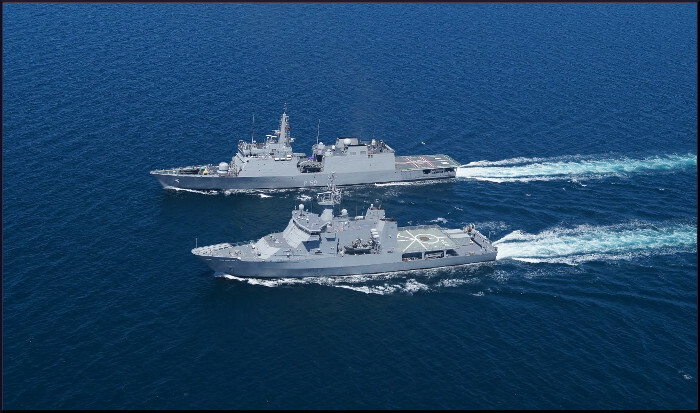 Last week, Wellington performed Officer of the Watch Manoeuvres with HMNZS Hawea. This training involves manoeuvring a ship at a high speed around other ships in close range. Exercises like this ensure our ships are well prepared for their duties ahead.